Why wait to replace your gas boiler or water heater? The condensing technology used by many newer gas boilers and water heaters can save you time, money and energy. Well-maintained gas boilers typically last 25–35 years. That means if you have a boiler that was installed prior to 1993, it may be time to consider a replacement. As older models require frequent maintenance, it’s often more expensive to keep an inefficient boiler running than it is to replace it. If the clock is ticking on your boiler, you can avoid costly repairs by installing a new energy-efficient model. 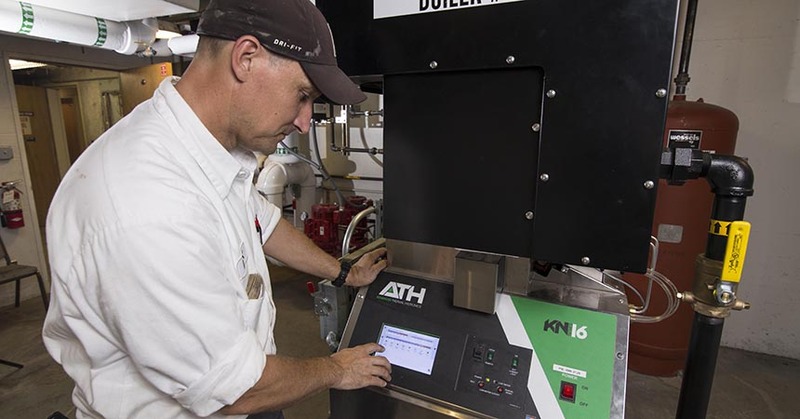 The most energy-efficient boilers utilize condensing technology that efficiently extracts heat from water vapor. To help offset the cost, Energy Trust offers a cash incentive of $8–$10 per kBtu/h for qualified models used for space heating, as well as incentives for steam traps and thermostatic radiator valves. Speaking of upgrades: If your gas water heater was installed more than 10 years ago—or if it’s rumbling, leaking or rusting—now may be the time to consider replacing it. Newer gas condensing tanks can cut your water heating costs by up to 30 percent, with larger installations saving even more energy. The tanks refill the hot water as quickly as it’s used so residents won’t have to wait for hot water. Energy Trust offers a range of incentives for gas water heaters, including tankless models, for a variety of property types. For more information call 1.877.510.2130, email multifamily@energytrust.org or visit www.energytrust.org/multifamily.